Margaret McCutchen's tombstone in the Nashville City Cemetery has the epitaph "She Turned From Bloodkin." In the Nashville City Cemetery, there's a grave that says "Margaret H. McCutchen — She Turned From Bloodkin." What's the story behind that? Listen to the full story above, and then follow along with the visual guide below. 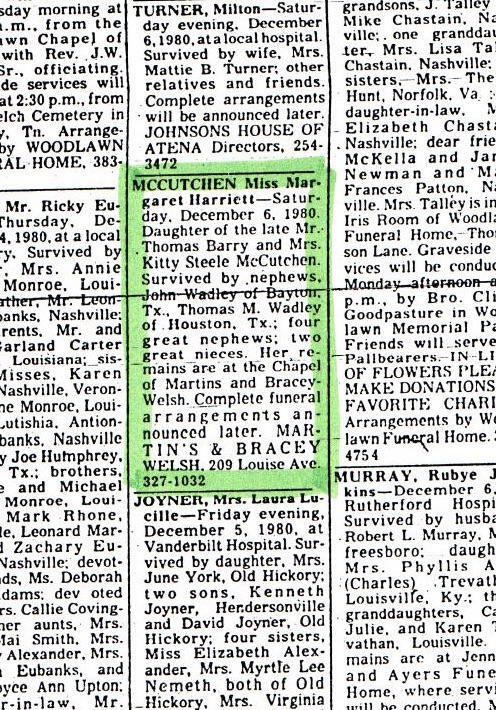 I visited program specialist (and microfilm enthusiast) Sara Brindley at the Nashville Public Library, who tracks down Margaret McCutchen's obituary in the Tennessean on Dec. 8, 1980. Unfortunately, it's rather short on details. Also in the Tennessean that day: the second of a nine-part undercover exposé on the KKK by reporter Jerry Thompson. That series was later turned into a book. As I explored the word "Bloodkin," my boss's boss came across a Southern Gothic rock band of the same name. Bloodkin, the band, was described by Paste Magazine as "the greatest rock 'n' roll band of the last two decades," so that's a pretty high compliment. I especially love "Ghost Runner." It's a fitting song to accompany a story about a cemetery. Margaret is buried in Section 4, Lot 17, between Martha Clenny and Thomas McCutchen. The Nashville City Cemetery is the oldest public cemetery in the county, meaning there were no restrictions as to who could get buried there. 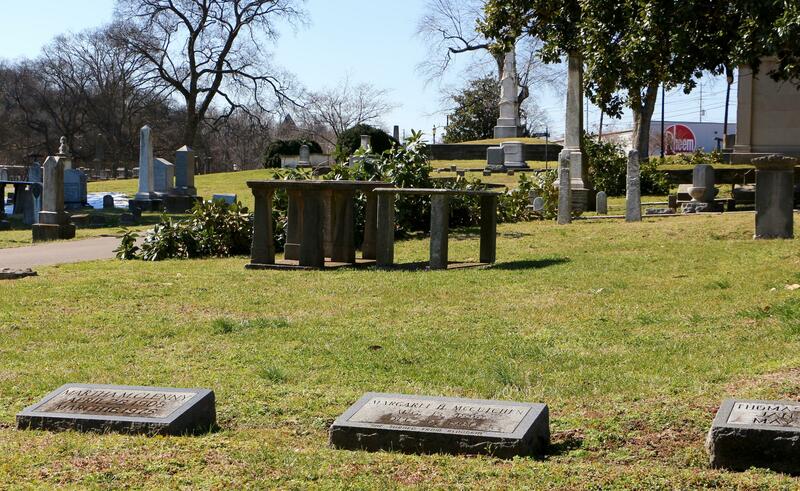 Historic Commission preservationist Fred Zahn, who gave me a tour, tells me this somewhat frightening fact: Nearly 20,000 people are buried in the Nashville City Cemetery, but there are only about 3,000 grave markers. "We haven't bumped into anybody yet," he reassures me. 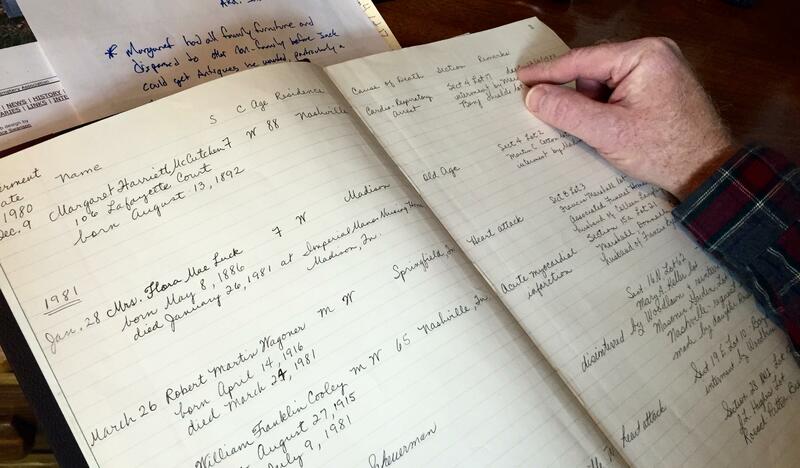 Fred Zahn points to the funeral home listed in one of the cemetery's ledger books, in which Margaret McCutchen is the first entry. To track down more information about Margaret, Fred Zahn looked in a cemetery ledger book and found the name of the funeral home that buried her. Unfortunately, the owner of the funeral home has since died, too. "So that was a dead end," Fred says. No pun intended, I snicker. "Yeah, cemetery work is full of a lot of puns," he says. 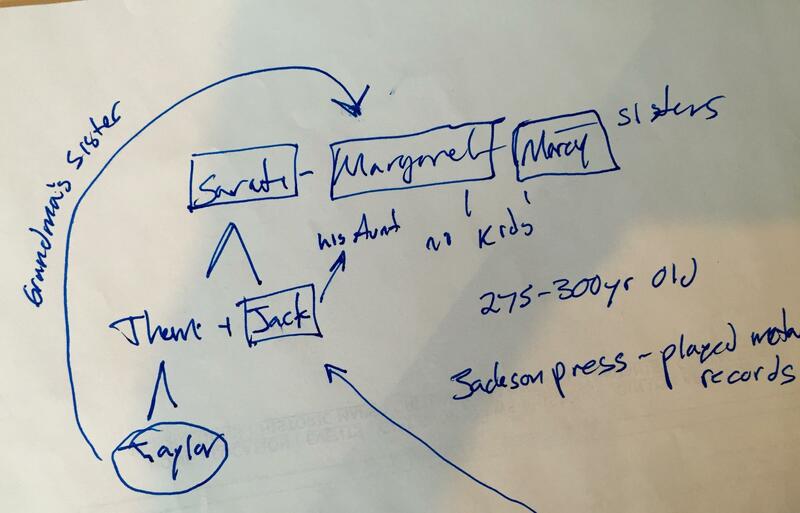 Finally, Fred finds an email about a nearby grave from Taylor Wadley — Margaret's great-nephew, as he shows me on this family tree. Fred sends Taylor a message on Facebook, and Taylor tells him the story of Margaret's epitaph as he knows it. Later, we check in with another side of the family, who has a different version of the story.